At least once in their lives, every woman has probably asked herself, "Would I look good with short hair?" However, many ladies are afraid of parting with their long locks because if you get the wrong cut you’ll have to wait months until it grows back to a decent length again. Today we at Bright Side are going to share with you an ingeniously simple trick that will help you figure out whether short hair will look good on you. The magic method, called The 2.25″ Rule, was discovered by John Frieda, the legendary English stylist and founder of his own brand of hair care products of the same name. According to him, a ruler and a pencil are all you need in order to determine whether a short haircut will flatter your unique face shape. Short hair fits Michelle’s face just perfectly, while Liv looks amazing with long locks. "It’s all about the angles," says John Frieda. Stylists say this method is reliable and accurate. 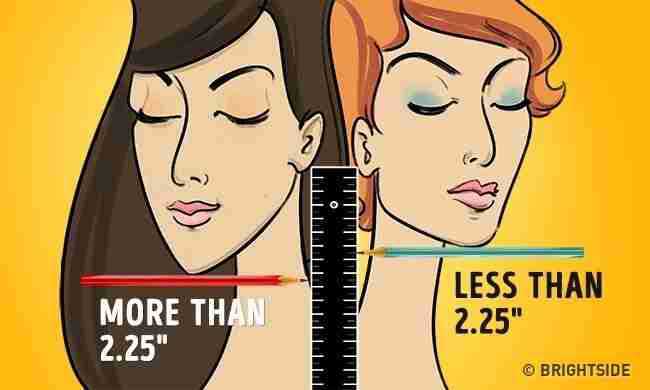 So if you’re toying with the idea of shorter hair, reach for a ruler and a pencil and measure your face’s proportions. Or just ignore all the rules and do whatever makes you happy!